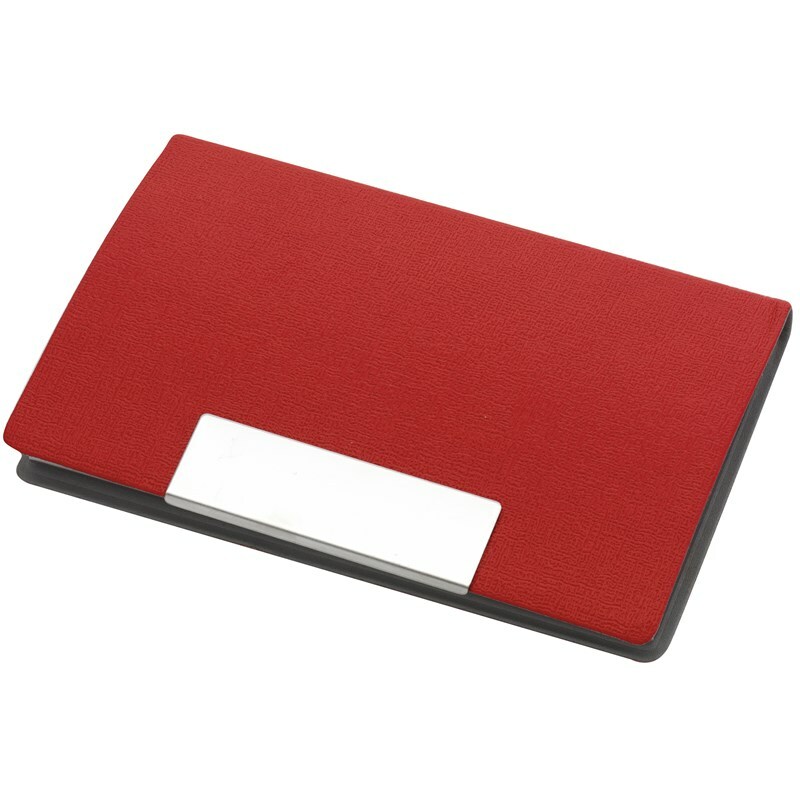 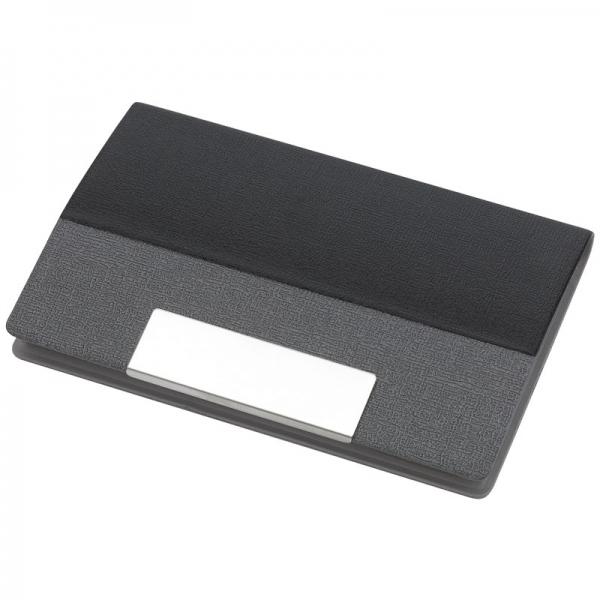 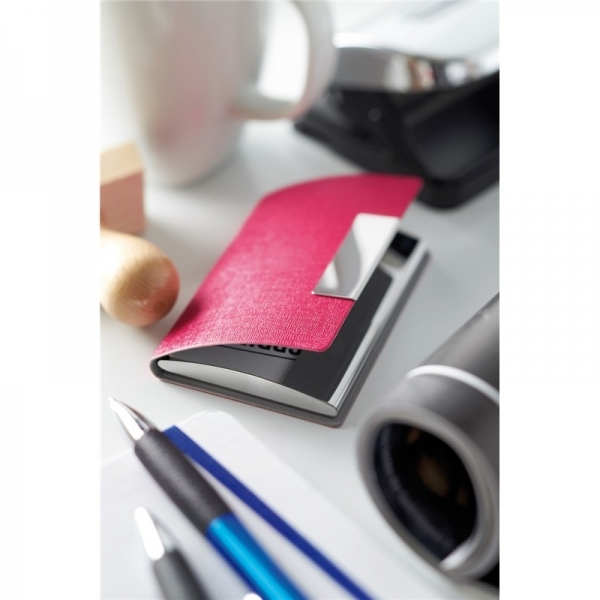 Business card holder with magnetic clasp and metal plate for advertisement. 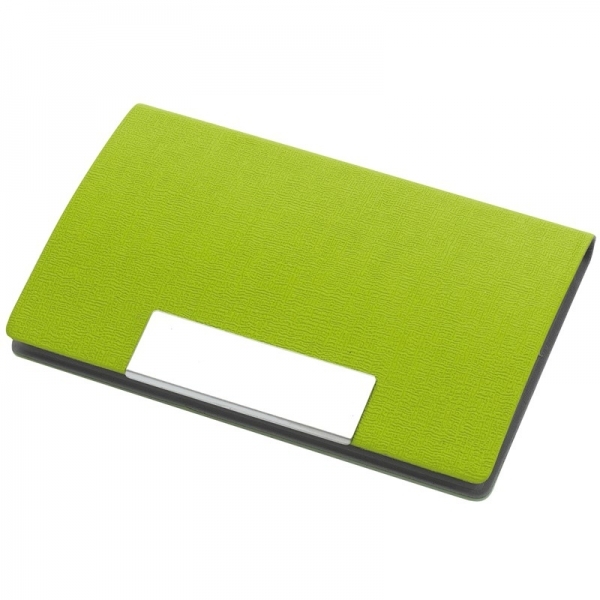 Dimensions: 9,6 x 6,5 1,1 cm. For appr. 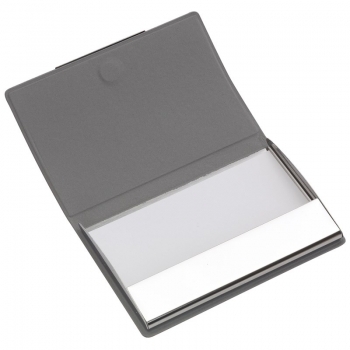 20 business cards. Prices incl. laser engraving with your logo! Space: 35 x 7 mm.